Don't travel to the beach, go to the lake and stay with us. Our cottage is new there are only 10 homes in this development. When you enter the cottage you will instantly see the view of both the pool and the lake which has boat docks that are provided for your use. The cottage was decorated with a cooling palate in mind but not enough warmth that you would miss the great outdoors that await you. The master bed and bath are on the top entry floor and the three other bedrooms and baths are on the lower level. SeaDoo that's fine but this is all the space you will have. The pool is shared and you must be aware of the other owners and not crowd the pool and use all the chairs. We try to run a tight ship here to insure the best vacation for everyone. When I tell you the rules I do expect them to be followed. 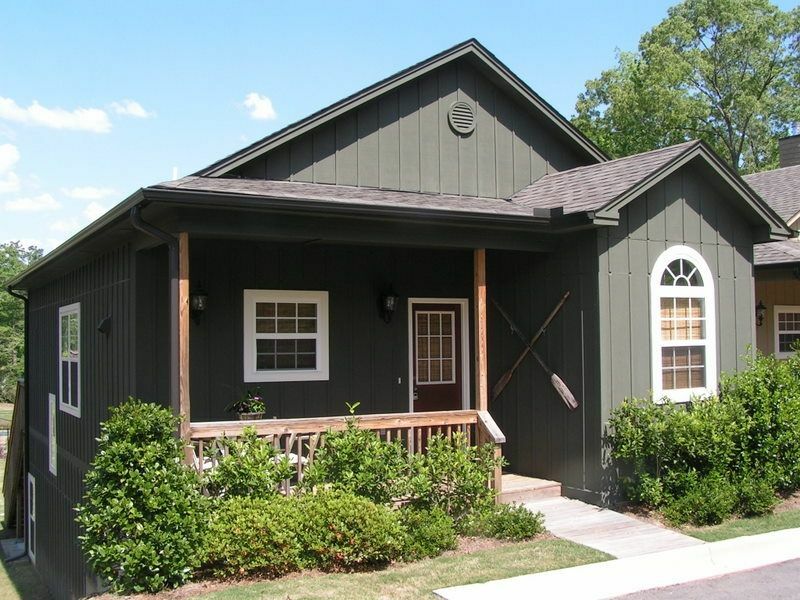 We are renting out our home to you and still need to keep in mind the other homeowners around that want to have a nice and peaceful time at the lake. This property is keep in great condition and the furnishings are keep up to date. You can't beat a pool at the lake. And the great restaurants right around the corner. The Master has it's own bathroom. There is a half bath upstairs off the family room. There are two bathrooms downstairs one is a jack and jill bath and the other is a private bath attached to a queen bedroom. Indoor Bathing towels are provided. You will need to bring towels for the lake or pool use. We are the only home that rents in this community. So with that being said if you can not be respectful of others and follow the owners rules this is not the rental for you. Great location for a quiet relaxing getaway. I’m so glad y’all had a good time. Hope to see you again. Love the location and ease of staying here to Auburn and Birmingham. Also love the Kowaliga area and all it has to offer. We have stayed at many different cabins on Lake Martin and this by far is our favorite! It’s very clean and easy to get to. The pool is nice as well for the kids to take a break from the lake and swim in the pool. It has good parking also for the boat trailer. We love it! Thanks for the nice words. It’s always been a pleasure working with you and I hope to have y’all stay with us again. Very nice. Owner very accommodating. Very clean and well stocked for a family. Children loved the pool. The permanent neighbors could not have been nicer with their granddaughters playing with ours. We would rent again. Thank you for the kind words. I’m so glad you and your family had a good time. Hope to see you again. There is a cleaning fee of 150.00 that will be added to your final total.